While you may not be destined for fame, it doesn’t mean you can’t work on the fortune part. Take some lessons from the rapper. “Bossed up and I changed the game,” says Cardi B on her verse on Bruno Mars’s Finesse (Remix) and, girl, you got it right. Cardi’s had a phenomenal career thus far and she’s only just starting out. Her debut single, Bodak Yellow, instantly became a hit and reached the top of the Billboard Hot 100 quickly – a feat that hadn’t been reached by a solo female rapper in 20 years before that. In early January, she became just the third act ever to chart her first three Hot 100 entries in the top 10 concurrently, joining The Beatles in 1964 and Ashanti in 2002. She was a stripper when she was just 19 and used that experience to build her social media status and talk about it open and honestly with no filter. Thus, she became an influencer. READ MORE: What happens when your friend keeps picking up the restaurant bill? Then she was on Love and Hip Hop: New York for two years and released two mixtapes before signing with Atlantic Records in 2017 and BLOWING. UP. She’s an inspiration! She’s a goddess! She’s living her best life! But how do you get to live that kind of success for yourself? Lizl Budhram, head of advice at Old Mutual Personal Finance, says that although we can’t all catapult to stardom and wealth like Cardi B, she is indeed inspiring women with her determination to explore and manage multiple income streams to support herself and her family. Lizl adds that generating money this way presents unique challenges and risks that need to be carefully managed to ensure long-term financial health. As a slasher who gets lump sums here and there on top of your monthly income, you need a solid financial plan to make sure you are growing wealth from these extra earnings. Speak to a financial adviser to help you put a plan together and check in with them whenever there are any changes in your earnings, expenses, priorities or goals. Cardi says she “hit the store, I can get 'em both, I don't wanna choose”, but until you’re earning millions, you probably should choose, and prioritise financial security and savings. Don’t make the mistake made by many people who rocket to success and spend like there’s no tomorrow. If you spend more than you earn, you’re going to run into trouble, no matter how much you earn. Make sure you are saving enough for rainy days. Earning income over and above your regular salary means you can invest more in your retirement savings. Relying solely on compulsory contributions to an employer-sponsored retirement fund does not guarantee that you will be able to retire comfortably. And if your only source of income is through freelance jobs – and you’re not a member of an employer-sponsored retirement fund – the need to invest for retirement is even greater. Tax-free savings accounts (TFSAs) and retirement annuities can help you grow your money while benefiting from tax incentives. 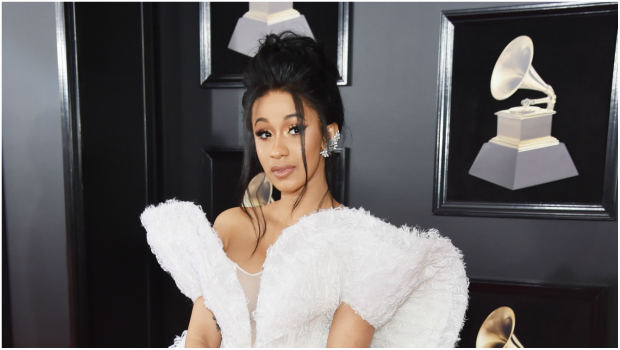 Just a year after her debut single, Cardi B is still making waves in the music industry, thanks to her ongoing investment in hard work and her career. Remember to grow your product or service through regular and sustainable contributions of capital. You also need to ensure that you are covered in case of any unexpected events. It is important to reward yourself, and enjoy the proceeds of your hard work. Buy the red-bottom shoes if your financial adviser agrees that you can afford them and if you must, but don’t under-estimate life’s simple pleasures, like treating your family or close friends to a delicious dinner or short holiday. So what if Cardi B was spotted in a R266 dress? Cardi B speaks out about being told pregnancy would be "career suicide"